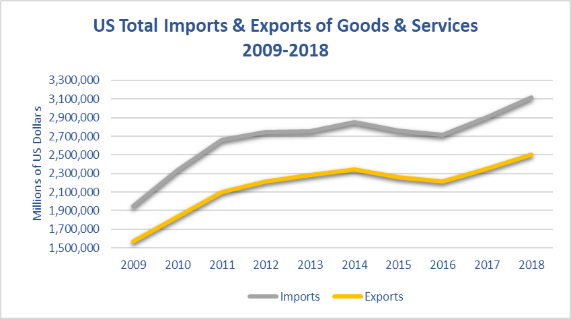 continue to climb at rates of 9.4 percent and 6.7 percent, respectively, since 2014. 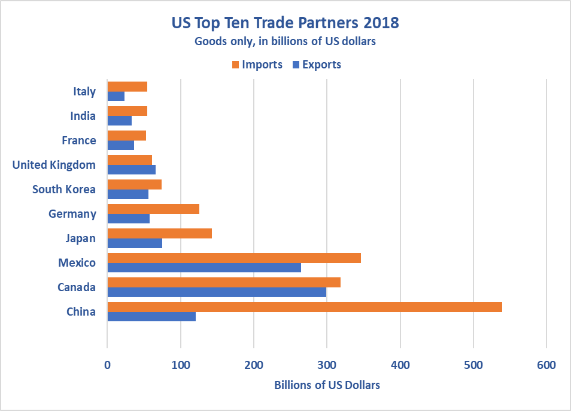 The chart below shows US top ten trade partners, for goods only, for the year 2018. $617.2 billion; Mexico with 14.5 percent valued at $611.5 billion.